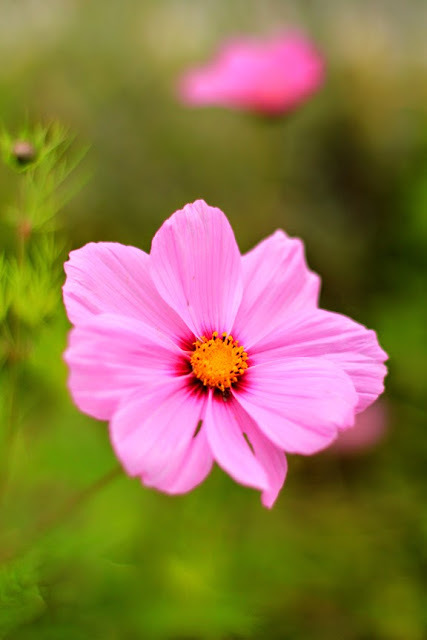 My flower photo collection keeps growing and growing, thanks to trips to Brookgreen Gardens, Longwood Gardens, Norfolk Botanical Garden, Williamsburg Botanical Garden and anywhere in between where I've spotted fabulous flowers to photograph. Thus an idea sprouted to devote a blog hop to flowers. 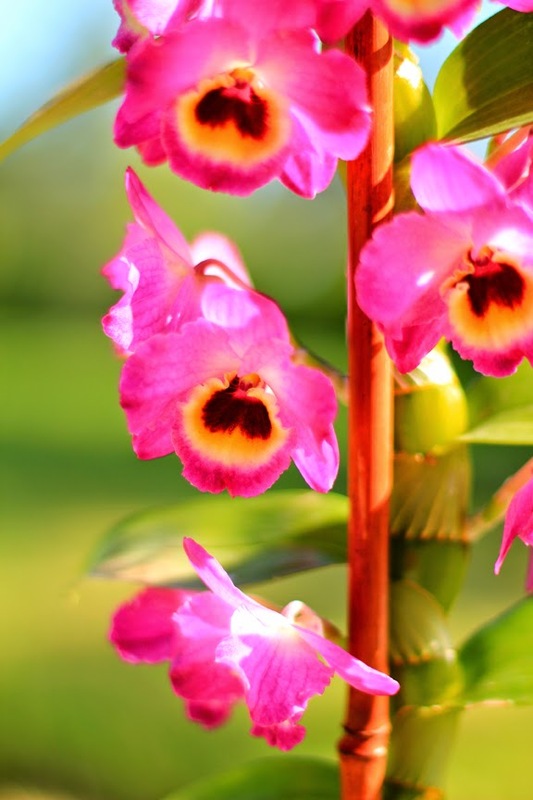 Since my schedule doesn't usually allow me to participate in multiple hops and I am already attached to Wordless Wednesday, I have decided to feature a flower photo every Friday and use that post to hop around the following Wednesday. Hopefully that will give me more time to return the favor on all comments, as I have been dropping the ball on that lately. 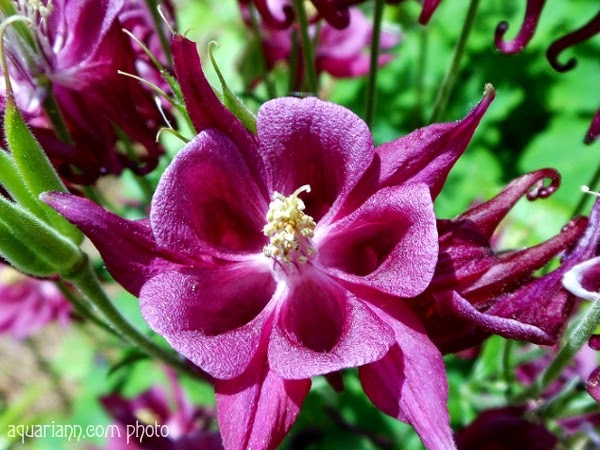 For my announcement post, I chose an Aquilegia 'Biedermeier' Columbine flower to share. I drew a similar columbine flower a few years ago and am using the artwork for my blog hop button. Every week I will also be featuring my favorite flower photos from the past week's participants. 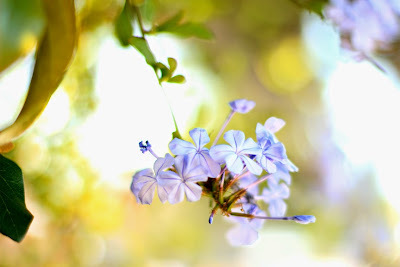 As an example, I picked all three flower photos from Mademoiselle Mermaid's blog. Her Friday Flower Picks are always such a pretty way to start the weekend! The only rule to play is that you can only add one link per week! The post doesn't even have to mention flowers, but only ones that do will be eligible for being picked as a feature next week. I will be sharing my flower image on other blog hops, namely Wordless Wednesday, and welcome all family-friendly links from fellow hoppers, even from Etsy or other handmade shops. However, if you want to promote a prize, I suggest adding it to my Giveaway Chest Linky instead to entice more treasure hunters. Looks amazing... Beautifully captured, too! I have never seen a flower like that before. How beautiful! Such beautiful colorful flowers, I love columbines. I have not seen them for years!! That's one of my Dad's favorite flowers. They are really pretty! the depth of colours in your top pic is just so beautiful! LOVE it!! My columbines should be open later this week! Beautiful! So pretty! I've never seen one before. Thanks for adding such beauty to Oh My Heartsie Girl Wordless Wednesday! That is a gorgeous columbine and great photo. I've never seen that color before. Beautiful pictures, I love all 4 of them! And awesome idea! my favorite color indeed...so beautiful.. Isn't Brookgreen amazing?? The summer is my favorite time there! The water lilies and dragonflies are to die for!